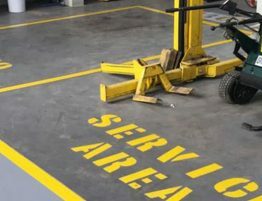 Advanced Flooring Systems (AFS) replaced a failing top deck system with a new waterproof and slip resistant flooring system in a busy multi-storey car park in the Blanchardstown Centre. Situated in Co Dublin, the Blanchardstown Centre is one of Ireland’s leading shopping and leisure destinations – boasting 180 stores, three retail parks, cinema, leisureplex and over 7,000 car park spaces. 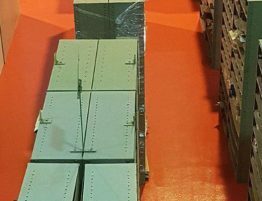 The main 6,100 sq. 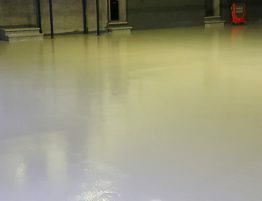 metres multi-storey car park in the centre required a new waterproof and slip resistant system due to a failing existing hotspray system. 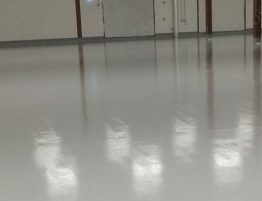 With years of experience in providing the complete car park flooring solution, including high-build systems, top deck and basement waterproofing, the client turned to AFS. 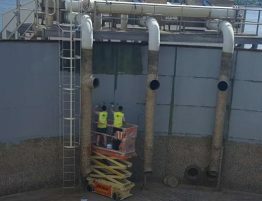 Using the lastest surface preparation equipment, including a new national ride on stripper, AFS began the project by removing material from the existing system on the main deck and ramp areas. 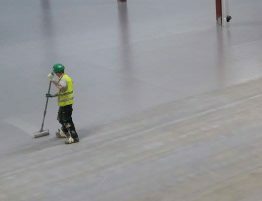 To remove any remaining contaminants, AFS further prepared the concrete deck slab using a combination of vacuum grinding and vacuum blasting techniques. 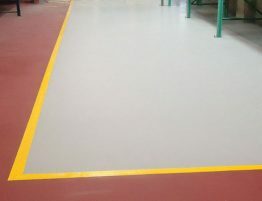 After initial preparation, AFS installed an MPM P1/2 solvent-free primer and overbanded all day joints and slab cracks using Elastostar P.
With a fully prepared deck, AFS installed a waterproof Elastostar P membrane system followed by a Polistar EP polyurethane finish coat in distinctive grey, blue, green and red colours as chosen by the client. 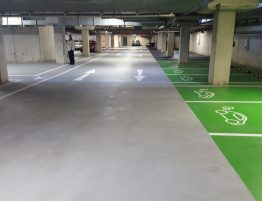 The project was finished with demarcation applied to parking bays, including new electric charge bays and walkways with additional line marking and direction arrows added to help complete the project.